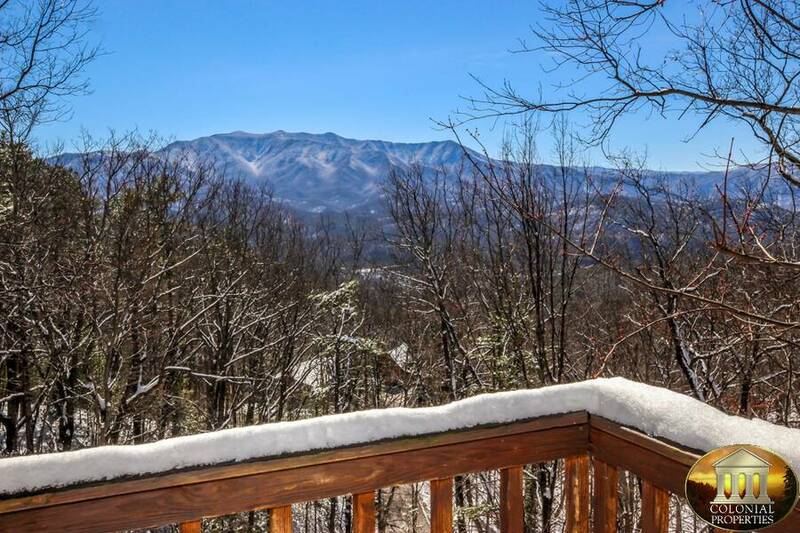 Welcome to A View for Two in Gatlinburg! 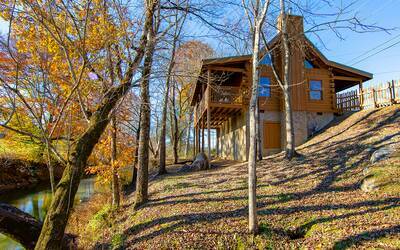 This ultra-romantic vacation getaway offers some of the very best views in the Smoky Mountains! 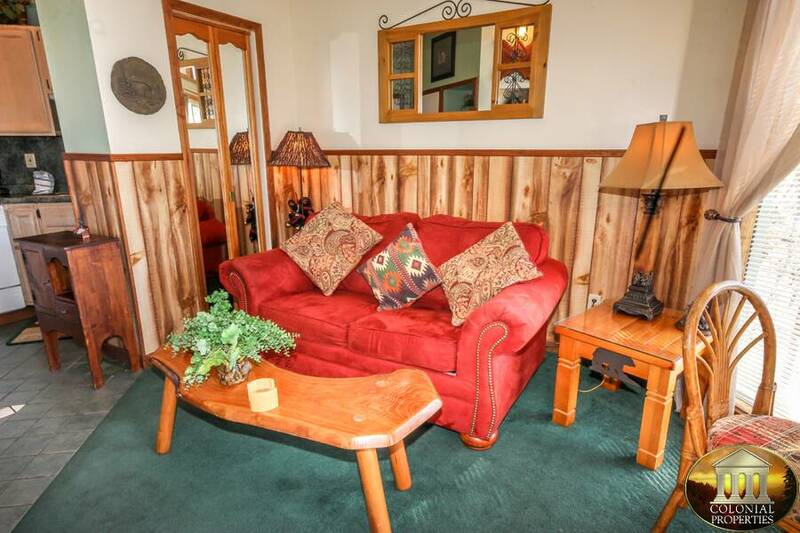 This cozy, comfortable vacation rental is the perfect spot to enjoy a honeymoon, anniversary or just when you need some alone time with your special someone. The one level, open floor plan ensures that you will enjoy each others company the entire time that you're at A View for Two. 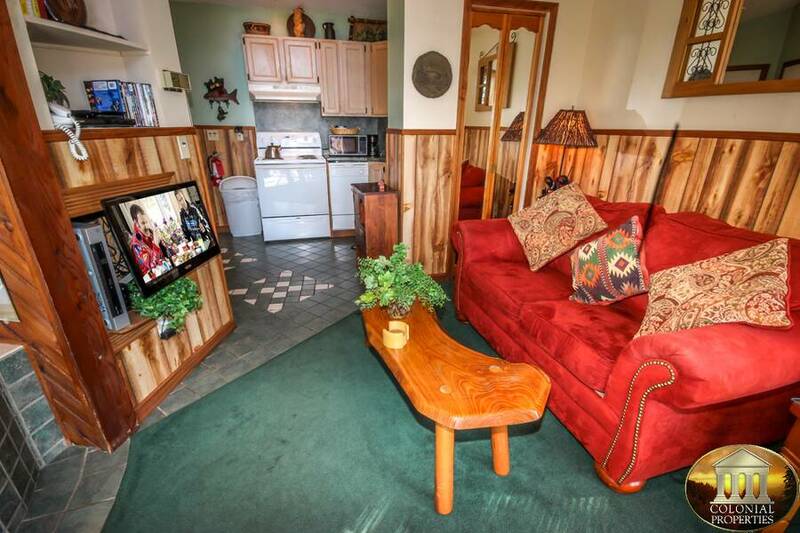 Inside you will find a comfortable living area with flat screen TV. 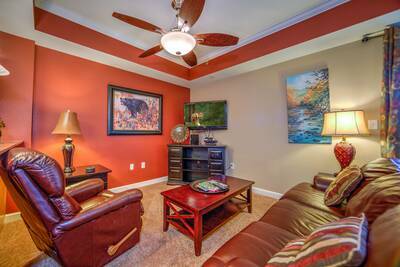 It's a great spot to relax, watch a movie or your favorite TV show. There's even complimentary high speed internet access just in case you need to check your email or want to surf the web. 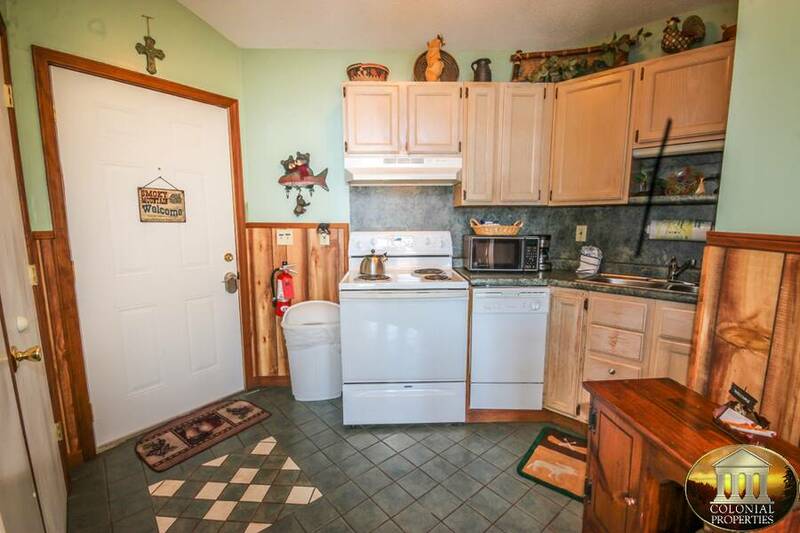 Just off the living area is a fully equipped kitchen. Prepare a delicious meal with your special someone, cook each other breakfast or just keep a few snacks on hand to keep you satisfied until you head out for a night on the town. Located in between the living area and bedroom area is a beautiful stone accented wood burning fireplace. 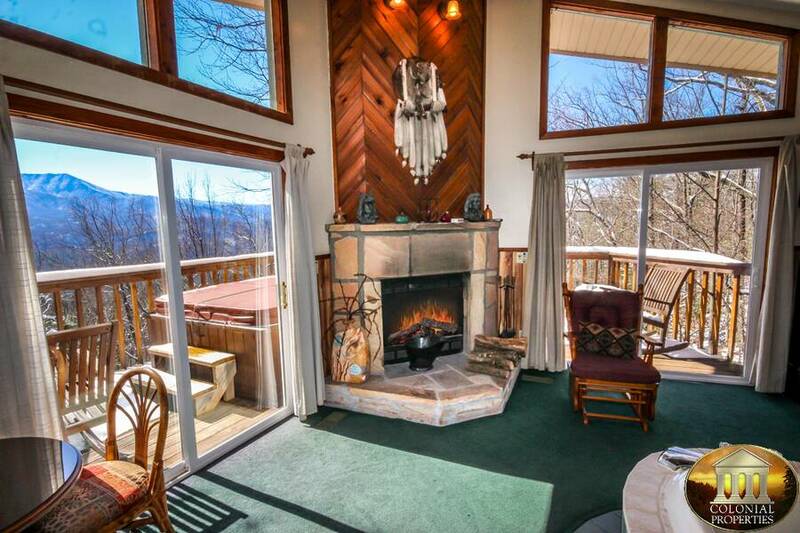 You'll love snuggling up and getting cozy with the sound of a real crackling fire nearby. 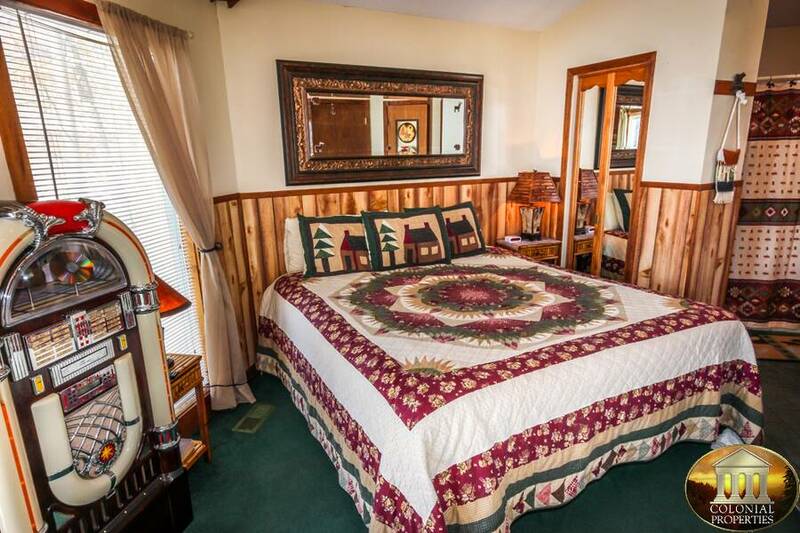 The bedroom area offers a king size bed and flat screen TV plus an adjoining bath. 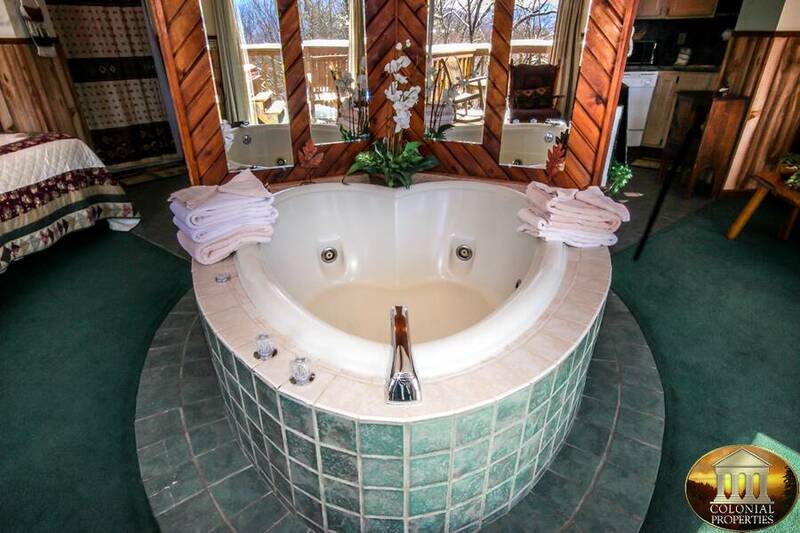 Located in the center of A View for Two is a totally romantic heart shaped jetted 2 person jetted tub. 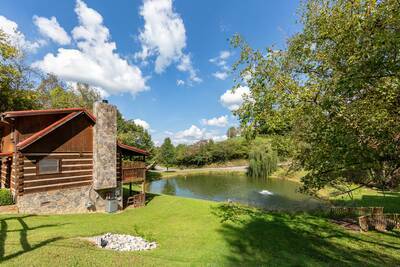 It is situated so that you can enjoy a panoramic Smoky Mountain view. 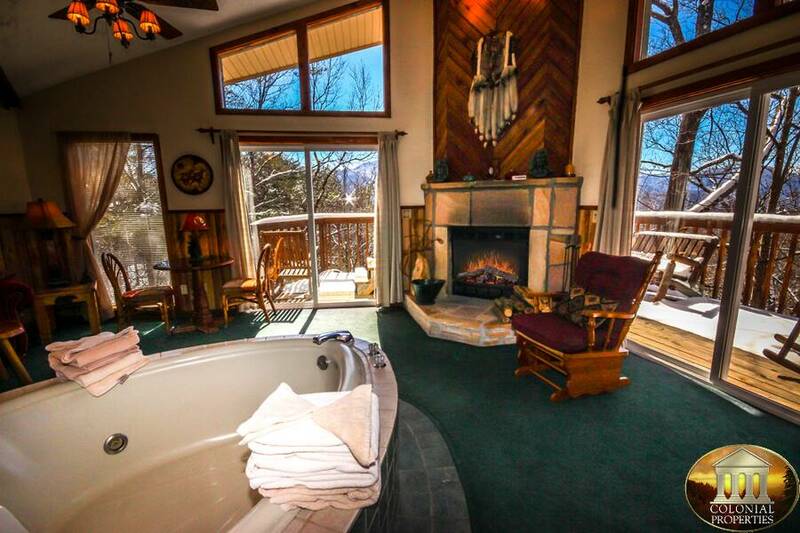 A View for Two is a fairly secluded vacation getaway with no nearby homes on either side. 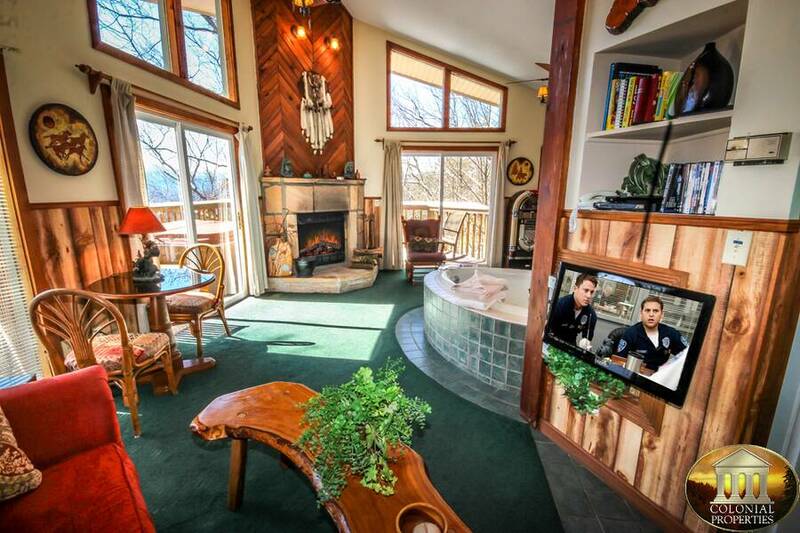 Great if you're looking for a little privacy. 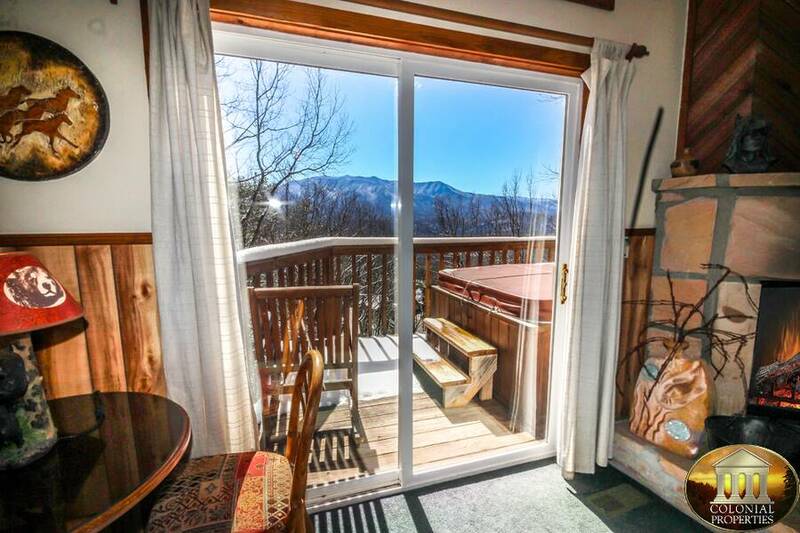 From the living area and out onto the deck, your jaw will surely drop at the amazing view of the Great Smoky Mountains. 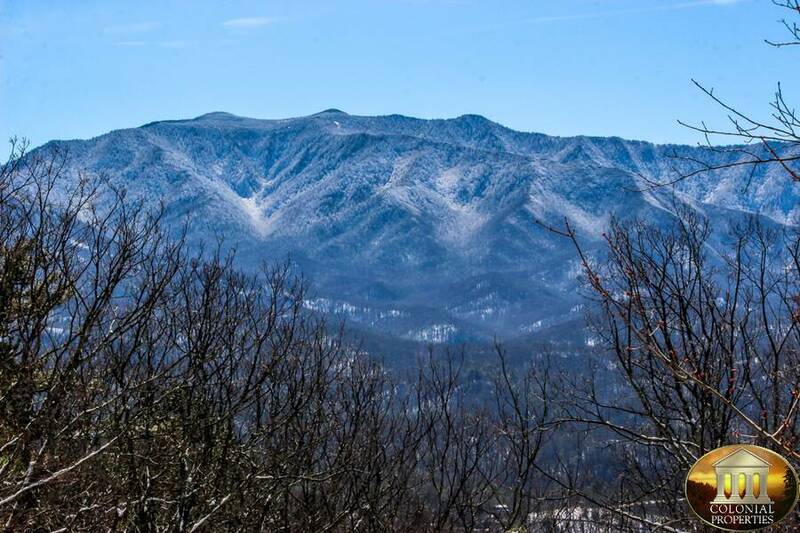 This spectacular view includes one of the highest peaks east of the Mississippi - Mt. Leconte (6,594 feet). 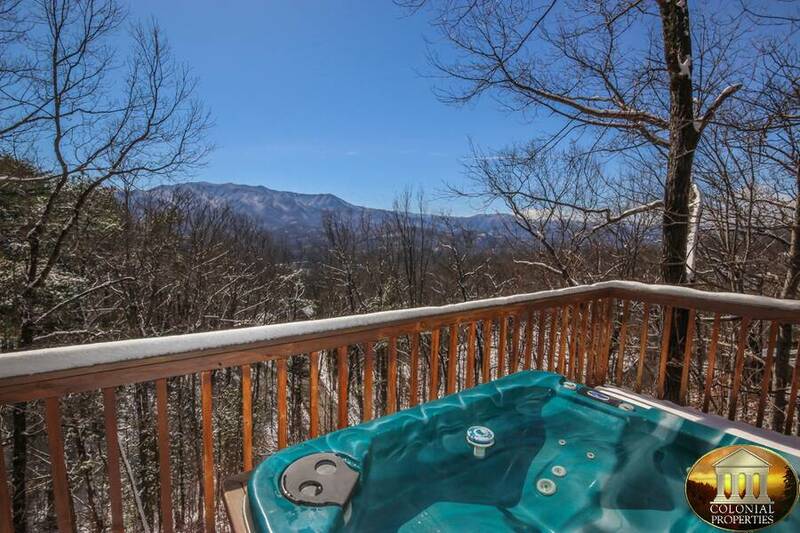 Aside from the beautiful mountain views, the wrap around deck also features a bubbling and steamy hot tub. 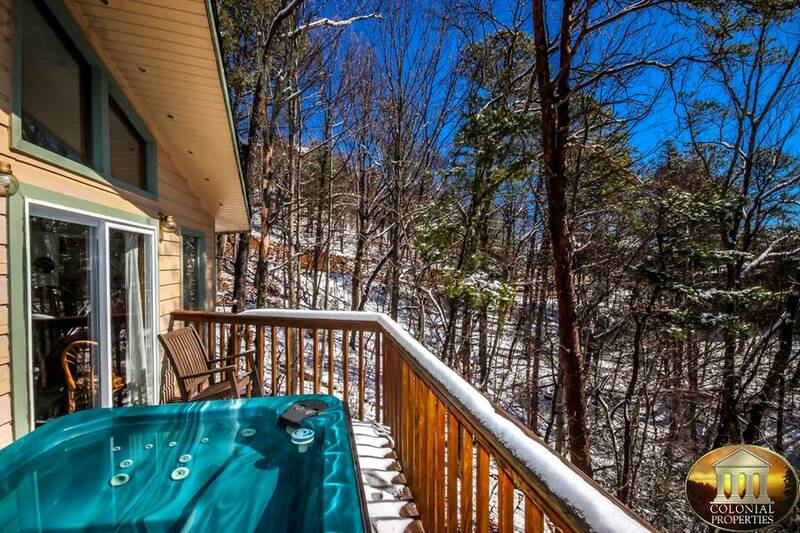 From the hot tub, you can gaze at the stars by night or stare into the mountains by day. 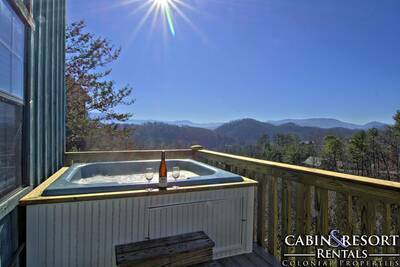 If you're in search of a romantic, amenity filled Gatlinburg getaway, then a trip to A View for Two is in order. With it's flowing open floor plan and super fantastic mountain views, your time spent here will surely be time you will forever cherish. 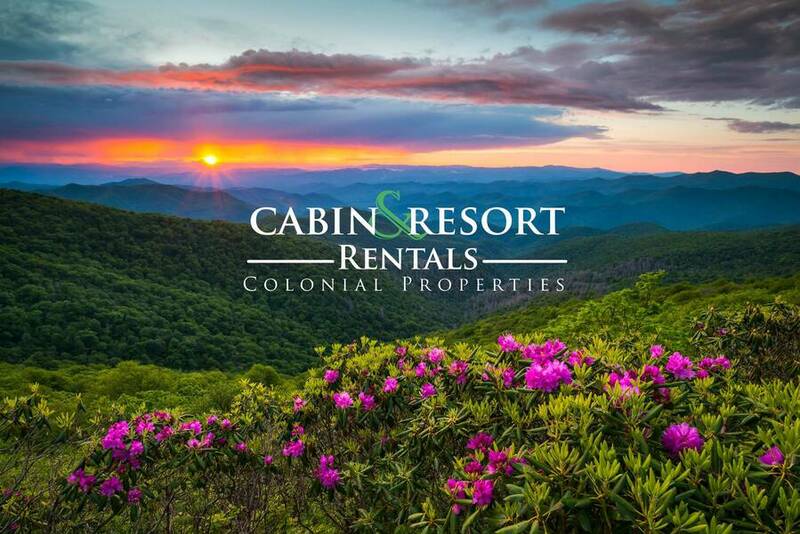 A: Hi Kayla, there is a property location map located at the bottom of the cabin page that should assist you! I would say 10-15 minutes if that to downtown. A: Hi Darrell, unfortunately this is not one of our pet friendly properties. However, we do have several available. A: Hi Sabrina! Absolutely. With our automated system, you may check-in whenever you wish after 4PM. 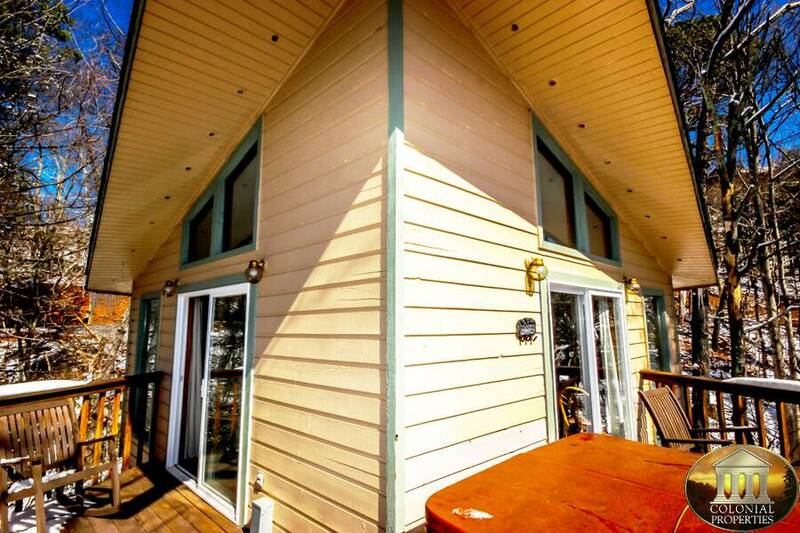 “ A View for Two was a lovely little chalet/cabin for our 10th anniversary get-away. It was well equipped and had a great view as promised. We were truly grateful for the privacy. It felt like a perfect second honeymoon place! 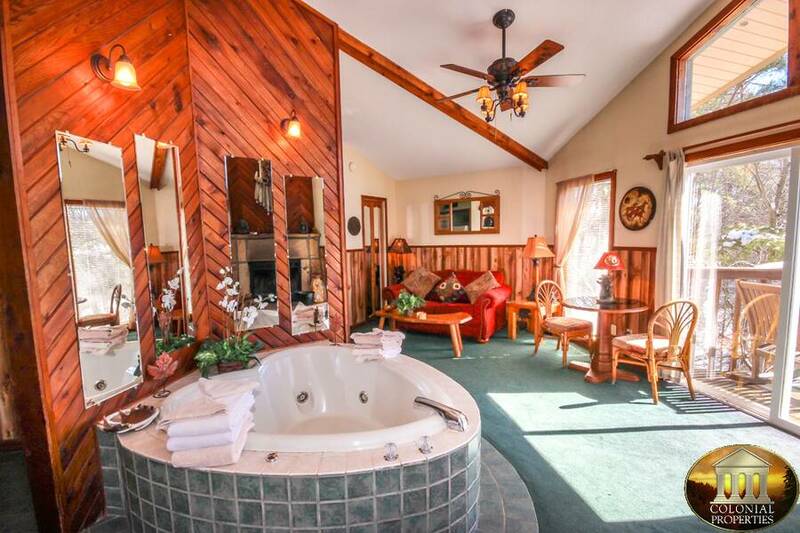 We loved the hot tub and heart-shaped indoor whirlpool tub! Cozily decorated and delightful, it was exactly what we were hoping for! We'd love to return! 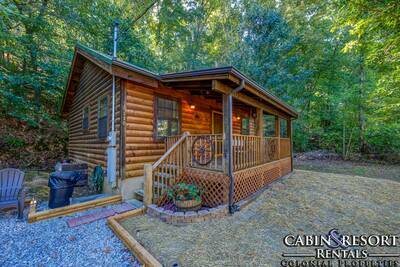 “ The cabin was beautiful and very clean. 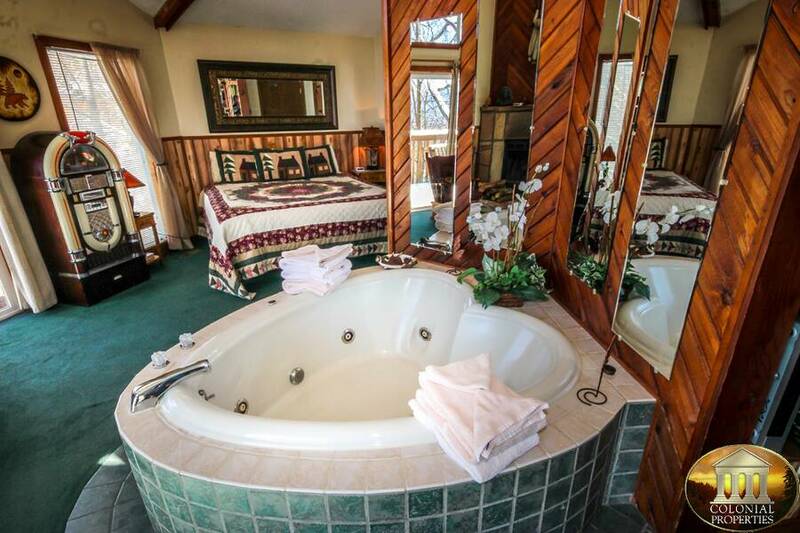 This is a neat place for a romantic getaway. Very private. Loved the CD's and the jukebox. We felt right at home. “ Great view!! Great experience recommend!! Very romantic!! 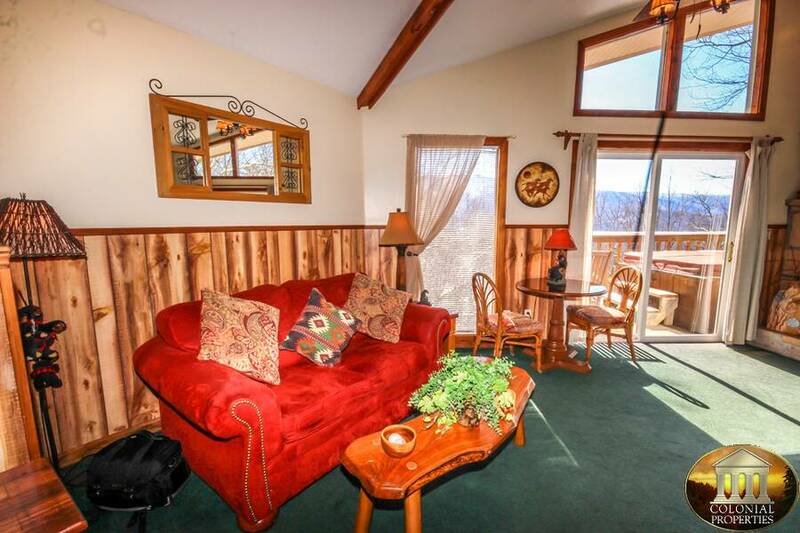 “ The cabin was very clean and view was awesome. We enjoyed the privacy. Fireplace was great, just right for two. “ We had a wonderful time and hope to return. “ We loved the cabin. It has a beautiful view. We plan to come stay again. “ A View for Two was the perfect vacation spot for us. We were spending our first anniversary in the place that we love the most, the mountains. This cabin was away from all the hustle and bustle but close enough that it didn't take long to get to the shops and restaurants. We loved it! Can't wait to start planning the next trip! Thank you so much for helping make this a forever memory! 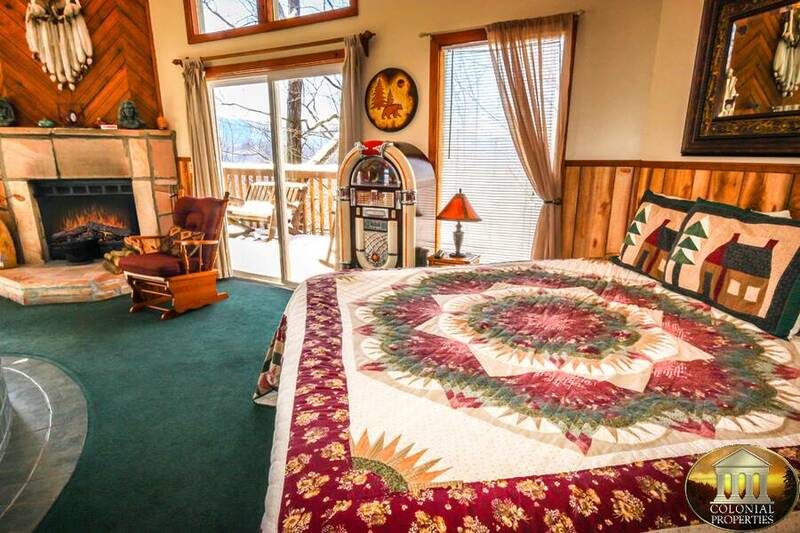 “ It was an amazing cabin with a wonderful view. “ The cabin was very tidy and neat when we arrived and everything was exactly how it should be. Everything that we used in the chalet worked perfectly and it was a great escape from everyday life. 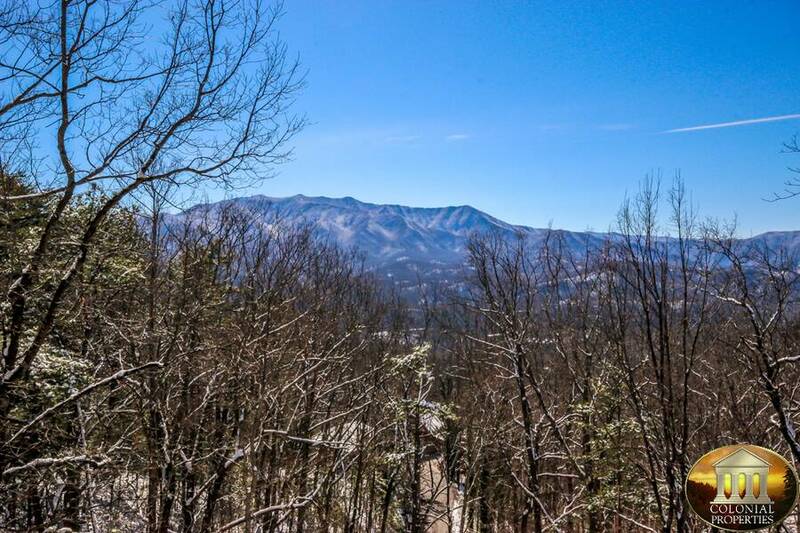 We explored Gatlinburg and Pigeon Forge, and loved the scenic views from all areas, especially the cabin. The cabin was secluded and out of the way/ sight of many houses in the area. I enjoyed the stay and I will definitely be suggesting this location to friends and family! “ My husband and I stayed here on our honeymoon. The cabin was just beautiful and the view was just breath taking. We had a wonderful time in Gatlinburg and the surrounding areas. We would like to stay with Colonial Properties again! The free tickets to area attractions are a plus. Ripley's Aquarium, The Lumber Jack Feud dinner show were amazing. Also, the Island is a fun place to visit and shop. Love The Smokey Mountains!!! 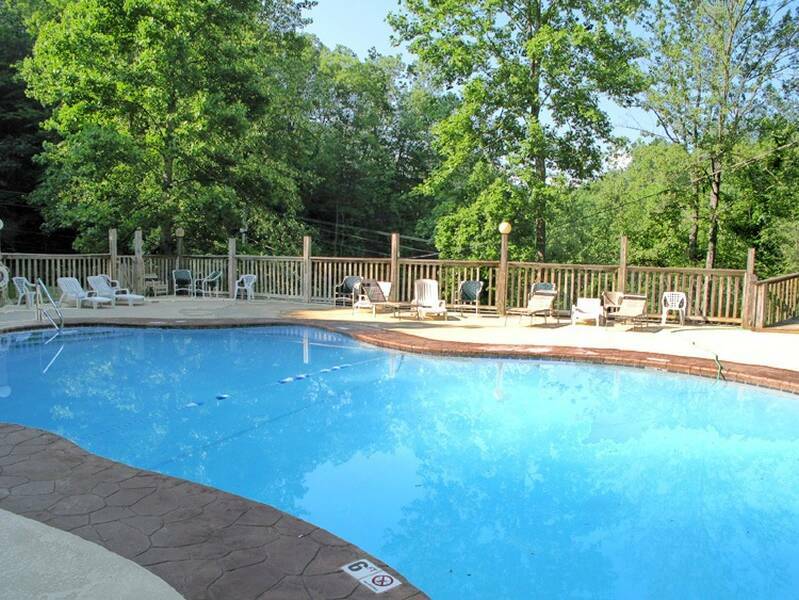 “ Our stay was excellent! Clean and very inviting interior! The views from the deck were beautiful! Nice and quiet there which was very relaxing! “ It was awesome! The views were magnificent! The hot tubs were great, bed was comfortable! We had and amazing week! Thank you! “ Great place to honeymoon. It was private and cozy. Lots of fun things to do close by. “ Great place to stay. Truly romantic great gateway! “ The place was great and the pictures on the internet was the same. Would use cabin and resort again.